Bing, Microsoft's new search engine, may be heading for a very healthy 20 per cent market share in the US, but the suits at Redmond probably hadn't expected to see it embroiled in a damaging plagiarism row. The site is under fire from all sides for what many describe as a startling resemblance to a small airfare search engine called Kayak. Indeed, even a cursory glance at results from Bing's travel search page and Kayak leads to the conclusion that they must surely share the same technology and designer. In fact, Kayak has already set its lawyers on Microsoft, with a legal warning hitting the doormat sometime in the last week or so. While we can't predict if Bing will be forced to change, the software giant is denying anything underhand went on. Microsoft's Whitney Burk told Wired: "We are discussing the matter with Kayak. 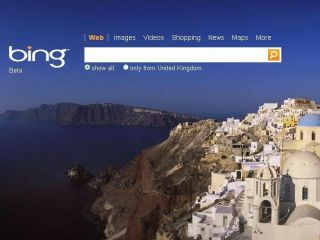 Bing Travel is based on independent development by Microsoft and Farecast.com, which Microsoft acquired in 2008. Any contrary allegations are without merit."